Providing you the best range of inconel 718 pipe, inconel x750 pipe, inconel 925 pipe, inconel 625 pipe, inconel 660 pipe and inconel 901 pipe with effective & timely delivery. INCONEL® alloy X-750 (UNS N07750/W. Nr. 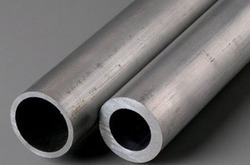 2.4669) is a precipitation-hardenable nickel-chromium alloy used for its corrosion and oxidation resistance and high strength at temperatures to 1300°F. Although much of the effect of precipitation hardening is lost with increasing temperature over 1300°F, heat-treated material has useful strength up to 1800°F. Alloy X-750 also has excellent properties down to cryogenic termperatures. Composition is shown in Table 1. The economics of INCONEL alloy X-750 coupled with its availability in all standard mill forms has resulted in applications in a wide variety of industrial fields. In gas turbines, it is used for rotor blades and wheels, bolts, and other structural members. INCONEL alloy X-750 is used extensively in rocket-engine thrust chambers. Airframe applications include thrust reversers and hot-air ducting systems. Large pressure vessels are formed from INCONEL alloy X-750. Other applications are heat-treating fixtures, forming tools, extrusion dies, and test machine grips. For springs and fasteners, INCONEL alloy X-750 is used from sub-zero to 1200°F. Depending on the application and the properties desired, various heat treatments are employed. For service above 1100°F, particularly where loads are to be sustained for long times, optimum properties are achieved by solution treating (2100°F) plus stabilization treating (1550°F) plus precipitation treating (1300°F). For service below 1100°F, the alloy may be strengthened by precipitation treating after hot or cold working or by precipitation treating after equalizing or solution treating. A furnace-cooling treatment is also used to develop optimum properties for some applications. INCONEL® nickel-chromium alloy 625 (UNS N06625/W.Nr. 2.4856) is used for its high strength, excellent fabricability (including joining), and outstanding corrosion resistance. Service temperatures range from cryogenic to 1800°F (982°C). Composition is shown in Table 1. Strength of INCONEL alloy 625 is derived from the stiffening effect of molybdenum and niobium on its nickel-chromium matrix; thus precipitationhardening treatments are not required.The properties of INCONEL alloy 625 that make it an excellent choice for sea-water applications are freedom from local attack (pitting and crevice corrosion), high corrosion-fatigue strength, high tensile strength, and resistance to chloride-ion stress-corrosion cracking. It is used as wire rope for mooring cables, propeller blades for motor patrol gunboats, submarine auxiliary propulsion motors, submarine quickdisconnect fittings, exhaust ducts for Navy utility boats, sheathing for undersea communication cables, submarine transducer controls, and steam-line bellows. Potential applications are springs, seals, bellows for submerged controls, electrical cable connectors, fasteners, flexure devices, and oceanographic instrument components. INCONEL® (nickel-chromium-iron) alloy 600 (UNS N06600/W.Nr. 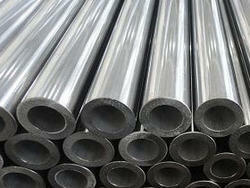 2.4816) is a standard engineering material for applications which require resistance to corrosion and heat. The alloy also has excellent mechanical properties and presents the desirable combination of high strength and good workability. The limiting chemical composition of INCONEL alloy 600 is shown in Table 1. The high nickel content gives the alloy resistance to corrosion by many organic and inorganic compounds and also makes it virtually immune to chloride-ion stress-corrosion cracking. Chromium confers resistance to sulfur compounds and also provides resistance to oxidizing conditions at high temperatures or in corrosive solutions. The alloy is not precipitation hardenable; it is hardened and strengthened only by cold work. The versatility of INCONEL alloy 600 has led to its use in a variety of applications involving temperatures from cryogenic to above 2000°F (1095°C). The alloy is used extensively in the chemical industry for its strength and corrosion resistance. Applications include heaters, stills, bubble towers and condensers for processing of fatty acids; evaporator tubes, tube sheets and flaking trays for the manufacture of sodium sulfide; and equipment for handling abietic acid in the manufacture of paper pulp. The alloy's strength and oxidation resistance at high temperatures make it useful for many applications in the heat-treating industry. It is used for retorts, muffles, roller hearths and other furnace components and for heat-treating baskets and trays. In the aeronautical field, INCONEL alloy 600 is used for a variety of engine and airframe components which must withstand high temperatures. Examples are lockwire, exhaust liners and turbine seals. 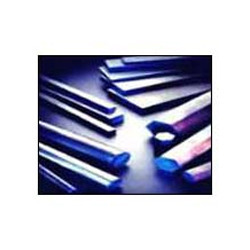 INCONEL alloy 600 is used in the electronic field for such parts as cathode-ray tube spiders, thyratron grids, tube support members and springs. The alloy is a standard material of construction for nuclear reactors. It has excellent resistance to corrosion by high-purity water, and no indication of chloride-ion stress-corrosion cracking in reactor water systems has been detected. For nuclear applications, the alloy is produced to exacting specifications and is designated INCONEL alloy 600T. Cobalt ..........................................................1.00 max. Carbon...........................................................0.08 max. Silicon ...........................................................0.35 max. Phosphorus......................................................0.015 max. Sulfur.............................................................0.015 max. Boron ............................................................0.006 max. Copper............................................................0.30 max.